Build of 40m² on a m² plot. Studio of 40 m² living space, situated just 200 mts from the beach in Jávea. 3rd floor with 2 lifts. The studio has been totally renovated and it comprises of a spacious lounge / bedroom, an open-plan fully fitted kitchen, a bathroom and an ample balcony with an awning and open views. The studio is sold fully furnished. Closed communal parking. Ideal rental investment. It has got all necessary licenses. Not the Apartment you were looking for? 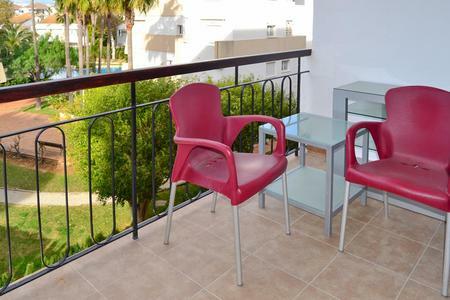 view all our Apartments for sale in Javea now to find your dream property.